After months of planning and many sleepless nights, our first event was upon us before we knew it. It seemed so surreal, the time was actually here already. Although our first event was a small Christmas party, it was just as important to us as a 250 person wedding. After all, it was the bank, and all the board of directors attending. A who’s who in the local banking world. Not to mention you only get one chance to make a first impression. After several days of sweeping, and mopping along with countless hours of decorating we were ready. Paper towels in the bathrooms, along with toilet paper as well. Who really knows how much toilet paper any event will need? How many rolls of paper towels will be used? Do we have enough? The sound system had been playing for about a week prior to this party making sure all the speakers throughout the venue worked as planned. Adjusting volume levels in every room. Ensuring the PA system worked properly for the moment when the director of the bank takes your microphone to deliver his speech. Adjusting the lighting to various levels during the day, only to go through all the levels again after dark to make sure we knew what to do when the sun went down. Testing all the different colors of up lighting to see what colors looked best with the changing ambient lighting. We filled the margarita machine only to discover a leak, taking the machine apart to fix the issue, and putting it all back together with our fingers crossed. Success, it was working as planned now. Realizing after installing the ice machine it required a drain. So now the plumbers are drilling holes in our brand new walls to make sure our ice machine drained properly as designed. Turning on the warming oven, and refrigerator in the prep kitchen to assist the caterer in keeping the meal at the perfect temperature. Learning the refrigerator in the bar was set to low and was eventually going to freeze all contents inside. So once again, we dive in and find the adjustment for the fridge and set it to desired levels. …all of the sudden someone announces our first guests are in the parking lot. Everyone involved is nervous, yet excited. Our dream was now a reality! The first person through the door says, “Wow, this place is beautiful!” Now we have forgotten all the trials, and tribulations we have been going through for the past months. Guest after guest was now arriving, and the responses were very pleasing as a venue owner. 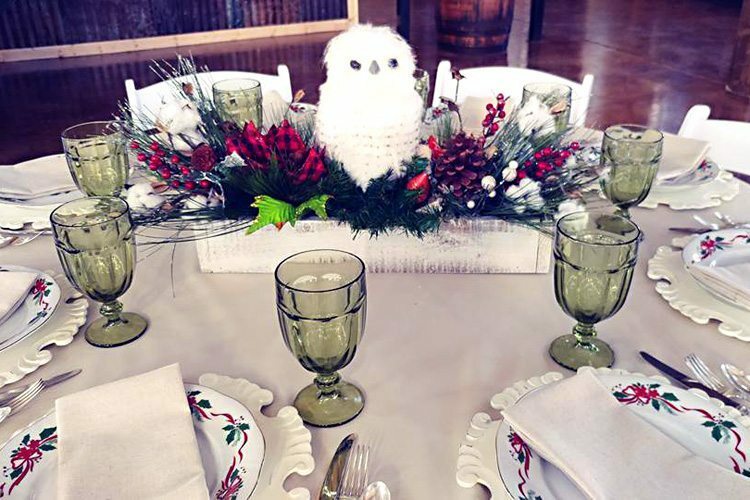 One guest even told the party planner, “You need to go ahead and book this place again for next year.” I will say it was heartwarming to hear all the positive feedback we received this night. This party is only a prelude of many great events to come at Charleston Sky. Call now to book your tour (903) 303-2711. Congratulations on your new venture. I wish you all continued success.